What explains the discrepancy between the date in Islamic history which details the prophet Mohammed’s Expulsion of Pagans from Mecca as 630AD, and Yoruba’s Oduduwa Exodus from the Middle East dated around 1000AD? 370+ years is quite a jump. Maybe it wasn’t that expulsion event that triggered the Yoruba migration southwards? Maybe it wasn’t even Mohammed? Or the Middle East…. Sudan? Certainly by the 11th Century ripples of Jihads were reaching further South into the Sahel, so a riddance of pagans (that’s us) and their idols from that region is plausible, but maybe it was at the behest of another zealous prophet of the many Moslem peoples of the Sahel, and then it would have been at a later date – about 400 years after the prophet Mohammed would have been laid to rest. 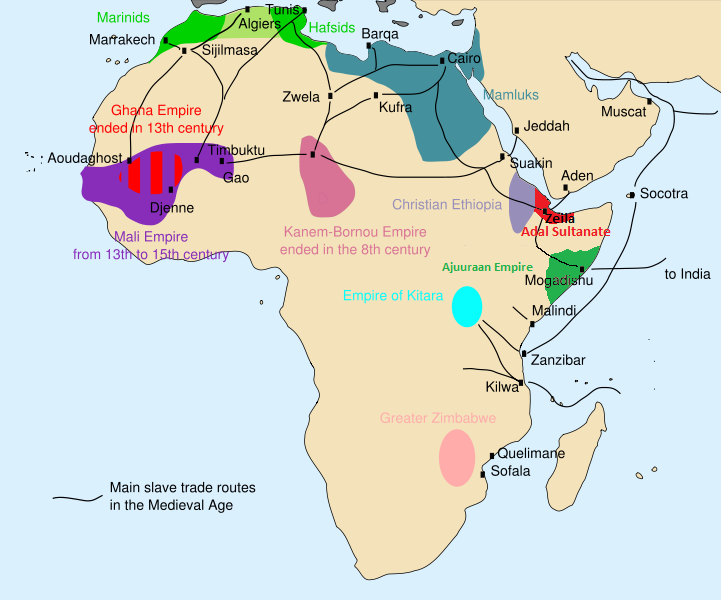 Is it important to note that by the 11th century the effects of 300 years of Trans Saharan Slave trade were also reaching further and further South and East beyond the Sahel? If so, then perhaps Oduduwa’s migration had a dual requirement for a denser, less accessible refuge in the forests of West Africa – a haven from enslavement and a place where he had the freedom to worship as he chose…. There’s nothing found so far on how Oduduwa travelled . Did he travel alone or with a caravan? Was he being hunted? Did he have help/people to carry his idols? Help with navigation? Was he on horseback ? Did he know where he was going? Did he just happen to find Ile Ife or had he been there/traded with them before? At the end of his journey, did Oduduwa meet the Bini Ijebu in Ile Ife? Did he drive them away? What really is the Bini connection? Why are the Bini so angry at Yoruba anyway? The Edo factions have their own spin on who Oduduwa was …. Regarding the Ijebus – their tradition states that they were expelled from somewhere North East of West Africa too but they don’t think it was the Middle East/Mohammed . Their history refers to an earlier exodus which saw Ijebus arriving at Ile Ife before Oduduwa . But Ijebu tradition believes they left from Sudan and not anywhere Middle East. And that they were Oduduwa’s welcoming party at Ile Ife…. Oduduwa, at that time still considered a mortal, must have been very impressive/persuasive (or aggressive) because after his arrival he was able to integrate and introduce new political ideas and methods to the previous Ijebu settlers and Ile Ife aborigines, and corral them all under his leadership. To the extent that he encouraged his heirs to expand beyond Ile Ife and claim surrounding territories. There was also inter marrying – One Ijebu tradition holds that Oduduwa married the only daughter Gborowo , of the founder of Ijebu, and their son Ogborogan became the first Awujale of Ijebu. As for the Ekitis …When Oduduwa arrived in the area now referred to as birthplace of the Yoruba, not only do the Ijebus believe he met them there , but so too the Ekiti who are said to have been the aborigines of that land along with other ancient people of Ife since around 700AD.